Are you looking forward to hire skilled professionals, especially to achieved effective results with color printing? If you answer this question with a yes then, the arrange of products that you will be able to purchase through a specialist in such printing jobs is sure to surprise you to the ultimate. In cases, you are in the minds of distributing professional printed pamphlets in your organization then, why take the stress of fighting the odds of inserting the right quality of paper onto your printer and wait for the right print. In such situations, it is rather good to rely on skilled professionals offering color-printing tasks to achieve optimal result. Depending upon the hands of skilled professional for the service also allows you to get it delivered to your home or office directly. Similarly, if you are in the pursuit of business cards and want to have it printed at affordable costs then, again relying upon a professional printing company is seemed viable. All that you need to do is be clear about your interests regarding the business card and you will have it delivered in accordance to the needs. The rule of relying upon professional printing company for effective color printing services also applies in your task of brochure or catalog printing. However, be it for your business cards, pamphlets, catalogs, or brochures, the key to receiving stunning print lies in the hand of professionals in the domain of color printing services. All you need to do is mention your interest to the professional printing company clearly for receiving the best services. With the advent of digital technology printing services have been making the most out of it. 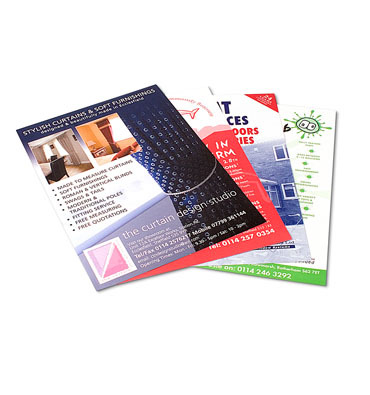 They are now offering a host of printing solutions to businesses of all sizes. The introduction of digital printing has initiated better business solutions because businesses are able to reveal their core competence in finer and polished prints. Nowadays, digital printing is used as a perfect solution to print envelopes, brochures, catalogs, business cards, direct mails, letter heads and more. A businessman always dreams of reaching the top and it can be well attained if one follows the right marketing tactics. Printing is an instrumental marketing strategy that can be used in any form to get a particular message directed towards the target – the consumer or the clients. Digital color printing services have ushered in solutions for businesses belonging to varied industries. It is one of the most sought after technological advancements in use by businessmen. Printing technology of yester years have been replaced by digital printing solutions. Digital printing has facilitated multiple printing at one go. 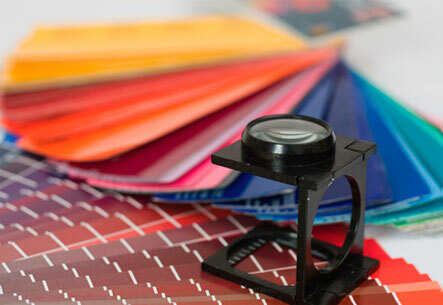 Regardless of the size of your business or the type of product you sell, the role of printing services is unparallel. Most importantly digital printing is chosen over other printing solutions because the print outs are sturdier and water resistant. They also don’t get faded with use. Digital color printing demands the use of high resolution 8 color printers, which produce fade resistant prints. However, it becomes difficult for you to select a reliable provider of printing services. Make sure you work with a printing company that has been in existence for quite long and has earned repute in the industry. Digital printing services are cost-effective solutions and help come up with finer and flawless prints. Can you think of a colorless life? Well, think of a situation, when you get to see only black and white everywhere, how it will feel? Yes, it will be really boring and life without colors will turn into a monotonous one. When it comes to reading also everybody prefers to read books printed with colorful pictures and designs, rather than staring at black and white pages all the time. In such circumstances, color printing is of great use. Yes, color printing helps making the books look attractive and turns the matter of reading into an interesting one for the readers. It shows that the printing process has achieved new heights, where colorful fonts and photos can make its place on the white pages easily. Colorful pages catch the reader’s attention in an easier way, which has increased the demand of reading materials among the readers. This way of printing using colors has brought a revolution in the advertisement industries and the business organizations use it to print brochures, catalogues, pamphlets and magazines to promote their business in a better way. Coloring books are a matter of attraction not only for the child readers, but also for different readers coming from different age groups. It helps increase the literacy and signifies a growth in the education industry. It is also a way of earning breads for different people related to the printing industry. Since, the demand is really very high, they get to make a good profit. Color printing is obviously a matter of great importance in today’s life and has come a long way for serving the demands of the people in a better way. Flyers have always been instrumental in promoting brand awareness. It is one of the most important techniques of getting your brand name stuck in everyone’s throat. There are several kinds of business strategies to choose from; but you need to be firm when you choose a suitable marketing strategy for your business. Flyers have often attracted the eyes of businessmen because they are cost-effective marketing tools with the advancement of technology entrepreneurs take keen interest in using color printing to publicize products and services in the finest colors and prints. This is just to ensure that maximum and effective brand exposure is actually achieved. So, here are the reasons why people opt for color printing to come up with vibrant and communicative flyers. Experts are of the opinion that custom made flyers have a deeper impact on the target audience. Issue 1) most online printing companies fail to keep their promises. Majority of people select online printing companies. The clients are hardly aware of the services they are entitled to receive after completion of the payments. They have to risk their trust. Therefore, it is essential to appoint a reliable online printing company. It is better you ask for sample work. Samples are always there at client’s disposal. Samples help printing companies display their expertise in the field. Issue 2) clients are helpless when their printing works turn out to be a disaster. Printing companies often deceive clients. Disproportionate shades are common issues. Just imagine your entire project turns out to be a tragedy and that too after investing a lump sum? Clients are shown colors that appear dull or inappropriate after the printing is complete. It is wise if you install an image software program that correctly shows the color. The installation needs to be completed before you send your images for printing. Make sure your printer provides you with the color settings as ordered by you. Did you know there are companies selling printing services with RGB color settings? Always opt for CMYK settings. Issue 3) a crisp looking image often comes out blurred after printing. Images that looks perfect on screen come out blurred and pixilated. Make sure you use images of highest resolution. This makes things easier. Web images are often improper when used for printing. Images captured with digital cameras are best suited for printing solutions. 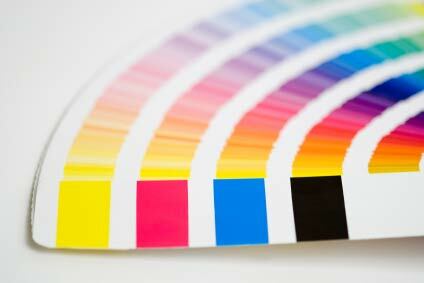 Color printing becomes defined when you hire services from a reliable company. 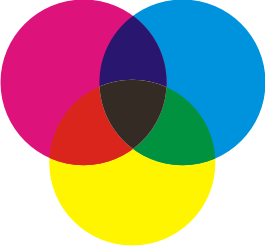 Color often takes the main stage in a printing task or process. Since, you tend to print brochures, logos, business cards, or other such things to grasp a wider client base and build a better connectivity with your users, you need to focus upon the color printing procedure. To achieve the best result in the process, you can wish to focus on a print based on the 4-color printing process. 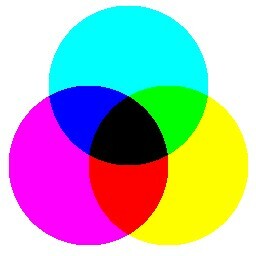 This particular color code uses four colors – Cyan, Magenta, Yellow, and (CMYK) to give in tiny dots that are known as line screen or screen. These dots come in rainbow of colors, which enable the color code produce the entire range of color. Therefore, if you are considering a color printing based on a wider application of color, the 4-color printing tends to come across as the smartest solution. Another advantage of this particular printing process lay in the fact that it comes at a less cost than the Pantone color printing. The CMYK digital printing also offers a service at further lesser price. However, this particular printing code is dependent on the capabilities and specifications of the printing machine. However, while applying the 4-color printing, you need to remember that these are not able to offer bright and metallic colors. Additionally, the colors that are due to be produced most often vary depending on the range of the printer and the colors that are due to be printed. You can also be certain of receiving a color shade, which accuracy does not yield perfection. However, though this particular color printing process come with limitation, it has its own advantage when it comes to specific results. Colors are the exact reflector of moods and attitudes that takes a significant position in offering meaning to the feelings and emotions attached with a particular thing. Now, this particular idea also represents similar tone with systems thriving on color printing. Usually, the common systems that are used in the services of printing are CMYK and Pantone. The Pantone color also referred by the names of Spot Color and Pantone Matching System is a particular color scheme based on an ink set used to produce solid colors. The above-mentioned color scheme is mixed to get through your printing job order. Well, the colors are previously mixed, as in to offer a consistent and perfect color coating throughout the printing process. The Pantone color scheme also comes with the wonderful advantage of being open to screening, which enables the color comes out lighter, even with fewer dots available. The Pantone color seems to form an irreplaceable part in the color printing tasks, especially in stationary packages and logos. Now, when it comes to using the color schemes in printing system, the Pantone color code stands to be expensive in comparison to the CMYTK Color code. This expensive status also explains the limit of using only three colors in the Pantone color scheme. However, though it comes at a price, yet the use of it on your graphics and logo enhances the accurate and same color yield. Therefore, next time – you would like to have enhanced printing in reference to your company logo and design – Pantone color code stands to be the answer. Color printing is nothing but the process of replicating an image or text in color contrary to the idea of traditional black and white or monochrome printing. This particular printing process, in recent times has become quite popular with business organizations wishing to capture the attention of the consumers and clients with colorful and appealing publication of brochure, catalog, or as such any other documents. Since, an increasing number of business leads of the companies depend on advertisement, the business heads are relying upon effective printing service for striking a chord with the clients and consumers. A properly presented printed material holds the potential to strike up a conversation and lead to better communication that might help the business in generating leads. Furthermore, it is also essential to depend upon a good printing service for designing a document that reflects professionalism without getting too messy with wrong usage of color codes. It is therefore, essential to consult a reliable and trustworthy color printing organization for getting your job done with the right mix of ease and efficiency along with speed. A business house can consider building ties with a printing company ensuring better, efficient, and patterned printing catering to their varied needs and interests. Since, ensuring good quality and attractive design stands to be important in promoting your business to the consumers and clients, it is important for the business house to offer careful attention to the printing process. From envelopes, business cards, banners, posters, signage, letterheads, advertisement, billboards, illustrations, mailers, and many more, the service of color printing in a business house is wide and varied. All these reflect the mission, ideas, and other interest of the organizations for the consumer and client and hence printing the business leads effectively holds great importance. Always seek a service that is superior and offers the best in the industry inculcating the best of professionalism.